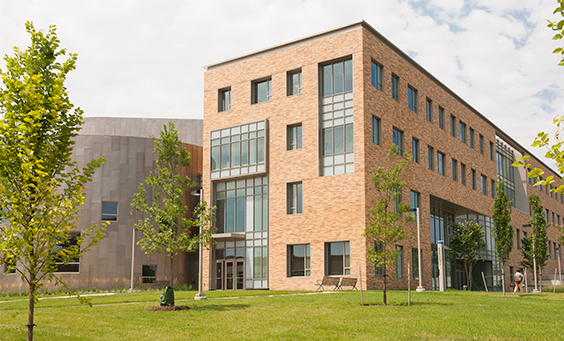 (PAHB) provides state-of-the- art facilities for the UMBC Department of Theatre, Music, Dance and the Linehan Artist Scholars Program. In the PAHB you will find the 200 seat Proscenium Theatre, 125 seat Black Box Theatre, rehearsal studios, technical theatre and design lab, costume shop, scene shop, dressing rooms, conference rooms and class rooms. And in addition a 350 seat concert hall, instrument ensemble rehearsal hall, a recording studio, practice rooms and music tech labs, 120 seat dance studio and the dance technology studio. Academic and Faculty spaces for the departments of Dance and Music. The PAHB is a premier facility in the region, providing a home for the arts in Baltimore and UMBC. With a quarter century of experience, the IRC is a leader in taking an entrepreneurial approach to leveraging new technologies and emerging transmedia platforms to reimagine content in forms that will do good. We use these new tools to experiment with the language of art, design, and storytelling, to break through the noise and create meaningful connections between knowledge and people.